This entry was posted on Thursday, January 12th, 2012 at 5:13 pm	and tagged with ACS, Alton, Alton Central School, Alton School District, debate, Dwarf Planet, Kathleen Holt, Kathy Holt, New Hampshire, NH, planet, Pluto, SAU #72, school, Superintendent and posted in Education. You can follow any responses to this entry through the RSS 2.0 feed. 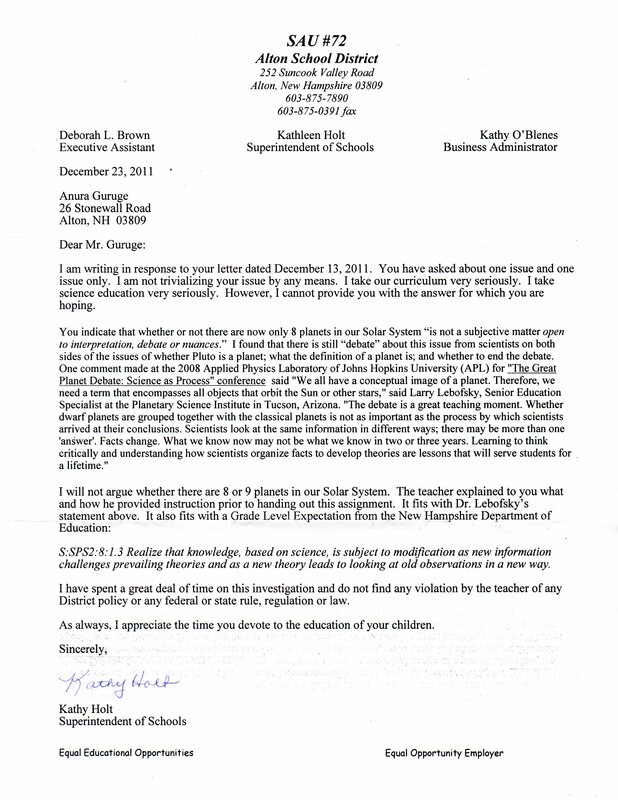 « New Hampshire School Still Insists That There Are 9 Planets!